Oligonucleotides are short sequences of nucleotides (RNA or DNA), typically with twenty or fewer bases. Automated synthesizers allow the synthesis of oligonucleotides up to 160 to 200 bases. Aptamer Group today announced it has signed an agreement with AstraZeneca to explore the potential of using aptamer technology to target the kidney. Glioblastoma is a serious and incurable brain cancer. Patients receiving this diagnosis typically have 11-20 months to live. 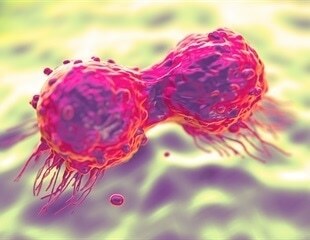 One of the main difficulties in treating this cancer is that its cells quickly build up a resistance to chemotherapy. In a new study researchers have developed a two-pronged approach for targeting Ebola virus infection using linked nucleic acid (LNA) antisense oligonucleotides (ASOs)designed to interfere both genes essential for translation of Ebola virus genes and to block production of an intracellular human protein needed for the virus to enter cells. When it comes to certain molecules, shape makes all the difference. The shape of limonene, for instance, a compound produced by citrus fruits, determines whether it tastes like orange juice or turpentine. PureTech Health plc, a clinical-stage biopharmaceutical company developing novel medicines focused on the Brain-Immune-Gut Axis, today announced that it has entered into a multiyear collaboration with F. Hoffmann-La Roche Ltd and Hoffmann-La Roche Inc., to advance PureTech's milk-derived exosome platform technology for the oral administration of Roche's antisense oligonucleotide platform. Researchers at the Translational Genomics laboratory of Valencia University and the INCLIVA health research institute have just discovered a new approach for the treatment of myotonic dystrophy, a rare and incurable neuromuscular disease which does not have specific treatment. Mutations on a single gene, the huntingtin gene, are the cause of Huntington's disease. They lead to an incorrect form of the correspondent protein.